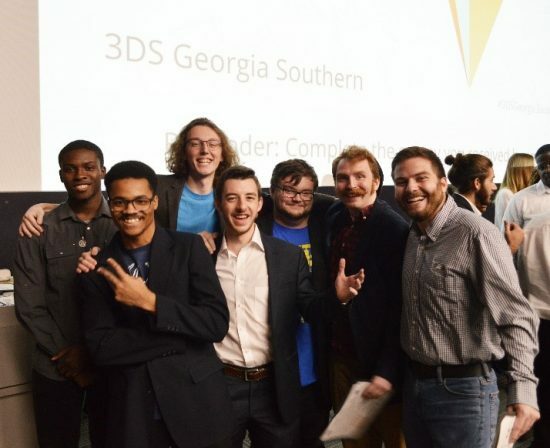 An app designed to “gamify” running by encouraging virtual running competitions among friends was the idea selected to move on to the inaugural Georgia Inventure Prize competition by panelists at the Georgia Southern University Business Innovation Group’s (BIG) annual 3 Day Startup (3DS). The app, called “Ghost Runner,” was designed by four students in the Allen E. Paulson College of Engineering and Computing and three College of Arts and Humanities students. The idea was deemed by panelists made up of the University’s Intellectual Property Committee to be the one that made the most progress during the three days teams had to prepare their ideas. The winning team includes computer science majors Marcus Joachim,Wyatt Landers and Jacob Poston; graphic design majors Zee Doehling and Thomas Martin; mechanical engineering major Shadrach Stark; and international studies major Michael McFarland. The students will work with BIG to prepare for the inaugural Georgia Inventure Prize Competition. Each college and university in the state was invited to send one team to Atlanta to compete April 3 – 4. The top five finalists will present via live GPB broadcast and streaming, with up to $50,000 in cash prizes and in-kind professional services. 3DS is a world-renowned program that brings together individuals from various backgrounds in a learning-by-doing environment to give students the tools needed to start successful companies. Students talk about ideas and form teams on a Friday and work on bringing those ideas to life by the following Sunday. On Monday, the competition culminates with a “Shark Tank” style pitch competition in which students pitch their ideas to panelists who judge and select the most viable idea. In addition to “Ghost Runner,” five other teams pitched ideas during this year’s 3DS including ideas on aquaponics, a speeding device, bags made from textile waste, peer-to-peer lending and roommate matching. Audience members also got a chance to vote for their favorite, giving the People’s Choice award to Olam Aquaponics. Led by biology major Cameron Milton, the team started with a large farm operation that provided food grown by aquaponics. 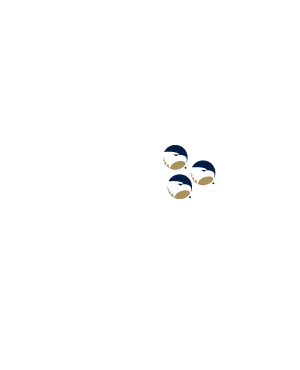 The team made a pivot to set up and maintain aquaponic systems for assisted-living communities and schools. “I definitely plan on continuing this project with the businesses that I’m in contact with, and I hope my team joins me in the next step,” said Milton. The event was organized by the Square One student organization. The Square One leadership team includes Marin Coleman, president; David Vaughn, vice president; Josh Curtis, treasurer; and Tinia Holmes, secretary.